At Moscow WWTPs (Kuryanovsky and Luberetsky) ,each having water capacity of 2,5 mln m3/day, all mixture of primary and secondary sludge is digested at 53 °C with SRT=HRT 7 days. The volatile solid reduction (VSR) is about 43-46% and gas production is about 0.33 m3/kg VS fed. In order to increase VSR and gas production many different optimization variants were studied. One of them was examining of usltrasonic (US) treatment of waste activated sludge (WAS) (or surplus sludge) before digesters. We considered several leading suppliers of US technology working with sludge treatment for purchasing pilot machine to test the technology. 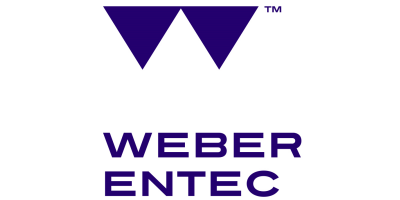 In the end Weber Entec was chosen as it proposed the most suitable conditions. The ultrasonic machine Smart DMS suited our requirements most of all, had the most attractive price and, what is not of the least importance, technical and management assistance was the most efficient and helpful. All operations (delivery, turnkey) were done according to the schedule and without mistakes. The train of experiments was the following. The US machine was installed near the pipe with thickened WAS feeding digesters and connected to it by bypass pipe through a lm tank (Figure 1). It was possible to sample the origin incoming WAS before the machine and WAS ultrasonically treated at the outlet of the machine. 3-4 samples of WAS influent and effluent in parallel were collected during 1,5 hour of continuous working every day, averaged, and then delivered to laboratory digesters as feeding substrate. Lab digesters worked in parallel lines as a control fed by untreated WAS and experimental fed by US treated WAS. No comments were found for Trials at a sewage treatment plant in Moscow Case Study. Be the first to comment!